Super Amino 23 (150 ct): amino pills. Aids the protein regulation in your body. It supports the recovery of muscles, minimizes body fat, and keeps tissues firm. Super Amino 23 contain MAP – Master Amino Acid Pattern® and supports normalizing protein synthesis, and will help with stabilizing your muscle, and post-workout recovery. It also assists with endurance and increasing muscle faster. For your fitness and wellness goals I recommend using this product alongside the Power Shake or in combination with the 10 Day Transformation products. This product is completely natural, vegetarian, organic and GMO free. Do you want to order this product? 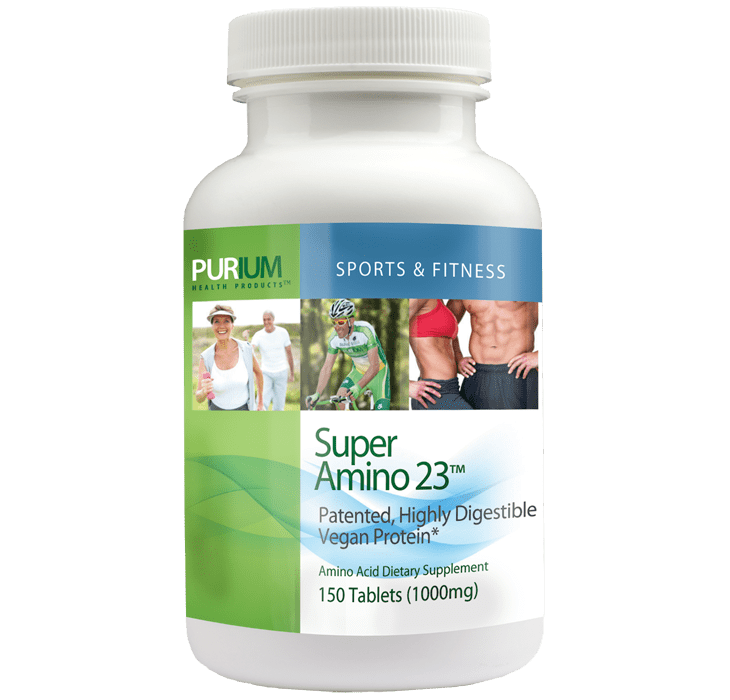 Select Super Amino 23 (Product Code: 3551) from the list inside the Purium store.